Paris St Germain's appeal against UEFA's decision to reopen an investigation into the Ligue 1 club's finances has been upheld by the Court of Arbitration for Sport. PSG appealed to CAS in October after the chairman of the Club Financial Control Body, the independent committee which oversees UEFA's financial fair play rules, decided to look into the French side's books in September, despite his chief investigator closing the probe in June. The runaway Ligue 1 leaders have been under UEFA's microscope ever since they were bought by Qatar Sports Investments, a Doha-based fund with close links to the Qatari royal family, in 2011. They and the Abu Dhabi-owned Manchester City were the first big clubs to test the FFP rules in 2014, with both teams being fined and forced to play with restricted squads in European competition for a season. 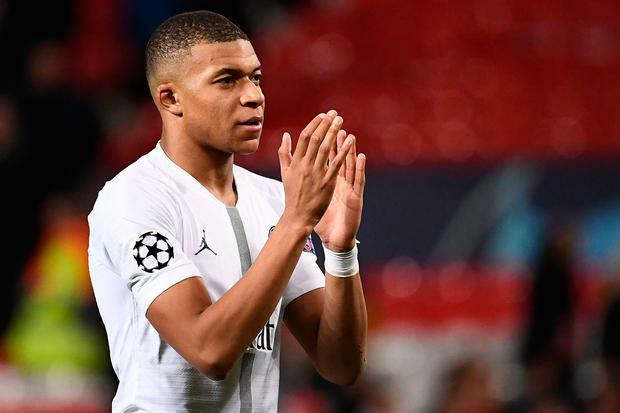 But questions about PSG's compliance with Europe's spending controls resurfaced in 2017, when they stunned football by splashing more than £350million on France teenager Kylian Mbappe and Brazil star Neymar. In a statement, the Lausanne-based court said it was upholding PSG's appeal because the CFCB's adjudicatory chamber took too long to review the investigatory chamber's original decision. According to UEFA rules, there is a 10-day limit for CFCB reviews and the PSG case took three months. Describing the "challenged decision" as "untimely", CAS said it must be "annulled", which means the original decision to clear PSG is "final and binding". Confirmation of PSG's appeal in November came a week after Der Spiegel published details of UEFA's negotiations with the club the last time they were in FFP trouble. The German magazine also revealed the extent to which UEFA's FFP investigators believed PSG's Qatari owners were trying to circumvent the rules by allegedly padding the club's revenues with hugely inflated sponsorship deals. Since their 2017 shopping spree, they have actually reined in their spending. Last summer they bought defenders Thilo Kehrer and Juan Bernat for £45.5million and sold Javier Pastore, Yuri Berchiche and Goncalo Guedes for £68.5million. By Andy Sims, Press Association Sport Brendan Rodgers fears European qualification could pose problems for Leicester, but he would still relish the challenge.